Woodland Hills ... one of a kind and in a league of its own. Property has always been used as a cornerstone for investment. A long term view should always be taken when considering the investment potential of any property, but it certainly helps when wildlife living offers tangible lifestyle benefits from day one. In Woodlands, this includes facilities such as hiking trails, game drive areas, horse stables and sporting facilities. Residents therefore have the freedom to enjoy the wildlife beyond just their piece of ownership. There are 23 wildlife species in the estate, so, do not be surprised if a Nyala comes to visit you at your doorstep! Property on the estate has shown an above average return on investment. There are a number of factors that add to an estate’s potential to appreciate in value. These include security features, estate maintenance and management, as well as aspects that increase the property’s future asking price such as large stands, master designed architecture and of course ‘location, location, location’. One of the biggest and most attractive benefits of the Woodlands’ lifestyle is to live in an environment where the fear of crime does not exist. Children are free to ride on their bicycles and walk to friends without fear. Being close to nature and the ability to explore it has enhanced the appreciation of the estate by many people, young and old. Given the estate’s exclusivity, it is exceptionally well serviced. There are strict access control, constant guard patrols, and surveillance systems, game and environmental management and infrastructure maintenance. 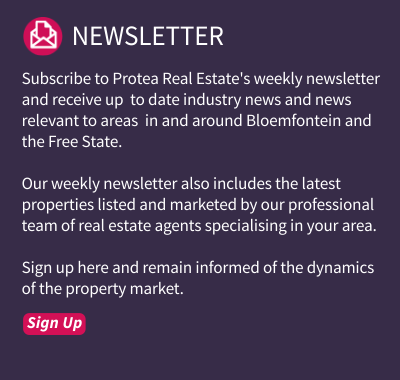 The estate is situated a mere 4 km outside Bloemfontein – the capital of the Free State. 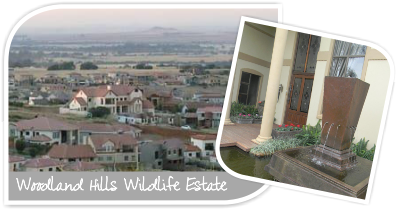 Many excellent schools such as Willem Postma P rimary School, Brandwag Primary School, Saint Michael’s School and Sentraal High School are located within a 7km radius from this exclusive wildlife estate. Even Grey College, Eunice High School, Brebner High School and Primary School, St Andrew’s School and Oranje Meisieskool are all located within 10km from Woodlands. The Hillandale Health Care Centre is situated adjacent to Woodlands and consists of a sub-acute health care facility and frail care. 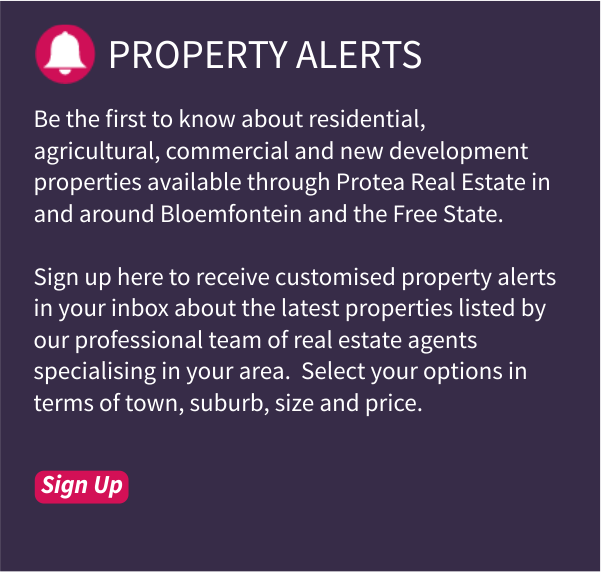 On the surface, living on a wildlife estate has many of the characteristics of other property investments. However, there is also something about it that makes it very different. Unlike an investment return, there is a quality of life that cannot be measured. There is the protection of the environment, and finally, there is the enjoyment of utilising the whole estate, at the cost of owning a portion.